1. Mishra R and Zhao KJ*, Genome editing technologies and their applications in crop improvement, Plant Biotechnology Reports, 2018. 3. 倪大虎，倪金龙，宋丰顺，李莉，王春连，赵开军，杨剑波, 抗病籼型水稻光温敏核不育系N632S的选育与应用, 杂交水稻，2017，32(5) : 13-15. 4. Ansari A, Wang CL, Wang J, Wang FJ, Liu PQ, Gao Y, Tang YC and Zhao KJ*, Engineered Dwarf Male-Sterile Rice: A Promising Genetic Tool for Facilitating Recurrent Selection in Rice. Frontiers in Plant Science, 2017, 8:2132. doi: 10.3389/fpls.2017.02132. 5. Cui H, Wang CL, Qin TF, Xu FF, Tang YC, Gao Y, Zhao KJ*, Promoter variants of Xa23 alleles affect bacterial blight resistance and evolutionary pattern. PLoS ONE. 2017, 12(10): e0185925. 6. 张明伟 徐飞飞 郝巍 王春连 赵开军，野生稻基因导入系w6023对白叶枯菌的抗谱及转录组差异表达基因分析。植物遗传资源学报， 2017，18（2）：298-309. 7. Wang S, Lei C, Wang J, Ma J, Tang S, Wang C, Zhao K, Tian P, Zhang H, Qi C, Cheng Z, Zhang X, Guo X, Liu L, Wu C, Wan J., SPL33, encoding an eEF1A-like protein, negatively regulates cell death and defense responses in rice. Journal of Experimental Botany. 2017, 68(5): 899–913. 8. Ying Gao and Zhao KJ*. Molecular mechanism of BjCHI1-mediated plant defense against Botrytis cinerea infection. Plant Signaling and Behavior, 2017, 12(1): e1271859. 9. Wang FJ, Wang CL, Zheng CK, Qin TF, Gao Y, Liu PQ and Zhao KJ*. Creation of gene-specific rice mutants by AvrXa23-based TALENs. Journal of Integrative Agriculture. 2017, 16(2): 424–434. 10. Gao Y, Jia SW, Wang CL, Wang FJ, Wang FJ and Zhao KJ*, BjMYB1, a transcription factor implicated in plant defence through activating BjCHI1 chitinase expression by binding to a W-box-like element. Journal of Experimental Botany. 2016, 67(15):4647-58. 11. Wang FJ, Wang CL, Liu PQ, Lei CL, Hao W, Gao Y, Liu YG, Zhao KJ*，Enhanced Rice Blast Resistance by CRISPR/Cas9-Targeted Mutagenesis of the ERF Transcription Factor Gene OsERF922, PLoS ONE. 2016; 11(4): e0154027. 12. Dahu Ni, Fengshun Song, Jinlong Ni, Aifang Zhang, Chunlian Wang, Kaijun Zhao, Yachun Yang, Pengcheng Wei, Jianbo Yang, Li Li, Marker-assisted selection of two-line hybrid rice for disease resistance to rice blast and bacterial blight, Field Crops Research 2015, 184:1-8. 13. Wang CL, Zhang XP, Fan YL, Gao Y, Zhu QL, Zheng CK, Qin TF, Li YQ, Che JY, Zhang MW, Yang B, Liu YG, Zhao KJ*, XA23 is an executor R protein and confers broad-spectrum disease resistance in rice, Molecular Plant, 2015, 8：290-302. 15. Wang CL, Fan YL, Zheng CK, Qin TF, Zhang XP, Zhao KJ*. High-resolution genetic mapping of rice bacterial blight resistance gene Xa23. MGG. 2014, 289:745–753. DOI: 10.1007/s00438-014-0848-y. 16. Zheng CK, Wang CL, Zhang XP, Wang FJ, Qin TF, Zhao KJ*. The last half-repeat of transcription activator-like effector is dispensable and thereby TALE-based technology can be simplified. Mol Plant Pathol. 2014, 15(7), 690–697. 17. Wang CL, Qin TF, Yu HM, Zhang XP, Che JY, Gao Y, Zheng CK, Yang B*, Zhao KJ*. The broad bacterial blight resistance of rice line CBB23 is triggered by a novel transcription activator-like (TAL) effector of Xanthomonas oryzae pv. oryzae. Mol Plant Pathol. 2014, 15(4):333-341. doi: 10.1111/mpp.12092. 18. 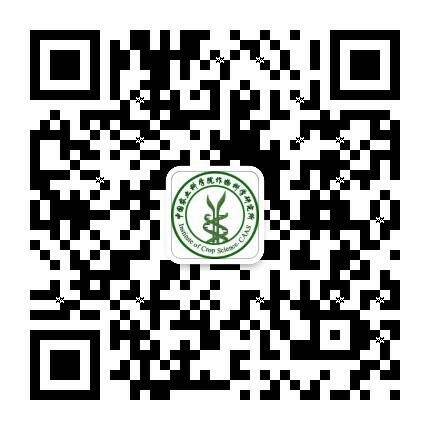 Gao Y, Zan XL, Wu XF, Yao L, Chen YL, Jia SW, Zhao KJ, Identification of fungus-responsive cis-acting element in the promoter of Brassica juncea chitinase gene BjCHI1, Plant Science 2014，215-216:190-198. 19. 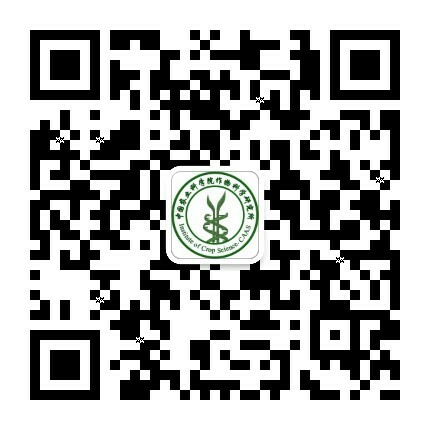 Zhang XP, Wang CL, Zheng CK, Che JY, Li YQ, Zhao KJ*, HrcQ is necessary for Xanthomonas oryzae pv. oryzae HR-induction in non-host tobacco and pathogenicity in host rice. The Crop Journal, 2013, (12):143-150.